Here we are - Its already the month of May and the Indian Summer hasn't been kind to us at all. With ever soaring temperatures and insane humidity levels, we've been reeling with the heat. I can't wait for the rains to kick in. However, if there's something that can take my mind of the weather, its got to be the Secret Recipe Club. Month after month we have 4 reveals by 4 incredible groups of bloggers, each Group headed by a hostess, Jane, Suzanna, Angela and Sarah for Groups A, B, C and D respectively, and at the head of this massive project, we have our fearless leader April. Thank you ladies for the huge effort you make each month to add this wonderful element of fun to our lives. For this month's assignment, I had Nicole's blog The Daily Dish Recipes. Nicole is a mom to 5 teenagers and a bunch of furbabies - 4 dogs, 2 cats and a hedgehog. I've wanted to be a part of a big family for as long as I can remember. You've got to head on over and check them out. The kids are adorable and do check out the pets - they're cutey-pies too. You think Nicole would have her hands full, just taking care of the household. No can do. Besides cooking, writing, blogging and photography, she does scrapbooking, crafting, DIY and home improvement projects. She also enjoys reading, music and movies. I'll let you in on a personal secret - I think I've partnered with Superwoman for this months SRC. :) :) :) Nicole, you are my role model. How you get all this done, I can't begin to fathom, but you have inspired me to try getting a few more things done with my time. Its just the nudge I needed, so thanks a ton. I had such a wonderful time going through this blog. Nicole's got so much to choose from. I'm dying to try out so many things from her blog. You won't believe it, but I've had her post on Homemade Fruit Irish Cream Sodas pinned months ago. I was so glad to bump into her blog again, since I'd almost forgotten about these beauties. I'm so gonna try them this summer. She has so many other wonderfully cooling drinks listed that its no surprise that I decided to go with one of her smoothies for this month's reveal. I made a couple of changes to the smoothie based on availability of ingredients. I subbed almond milk for regular dairy and I don't have access to sweet basil, homegrown or otherwise, so I left that out altogether. The recipe below reflect the changes I made. What I ended up with was so good. Healthy and perfect for this never ending heat wave we seem to be going through. I know this drink will make an appearance a few time again before the summer is done. Blend all the ingredients except this ice, till smooth. Pour into glasses and chill out!!! This sounds so refreshing. I can just see myself sighing in cool bliss while drinking this. Thanks Lisa ... its perfect for summer! Thanks Sara... this was a first for me. I'm usually fruit and nuts all the way! this sounds delish- great src pick! I'm so glad you had me this month and that you chose this recipe. It's a favorite around here. I love the changes you made. We've made it a few times with almond milk, my very favorite is coconut milk. So good! You did a great job. I'm definitely not superwoman, but I do my best to keep myself busy. haha Thank you for all your sweet words! Thanks for stopping by Nicole!!! That looks so fresh and refreshing! I can't wait to give it a whirl. Nice pick for the SRC. Delicious ad lovely looking smoothie. i love cucumber in smoothies and i bet it goes so well with the cantaloupe! It was a pleasant surprise for me Sarah, thanks for stopping by! Wow, I never would have thought to put cucumber in a smoothie. Sounds very refreshing! Me either Lesa, it was a first for me!!! I've never put cantaloupe or cucumber in a smoothie, but they would be so refreshing. I have a cantaloupe in the fridge that isn't as ripe as I'd want for us to just eat it plain, I'll have to make a smoothie for the kids with it and see if they like it. Perfect. Thank u for stopping by Katrina! I really love it. 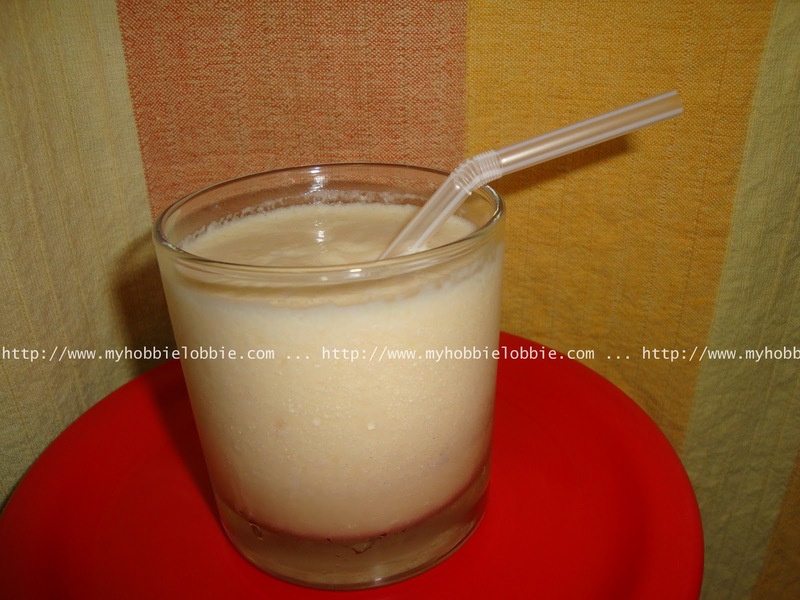 thanks for sharing this smoothie with us and look forward for some more recipes.